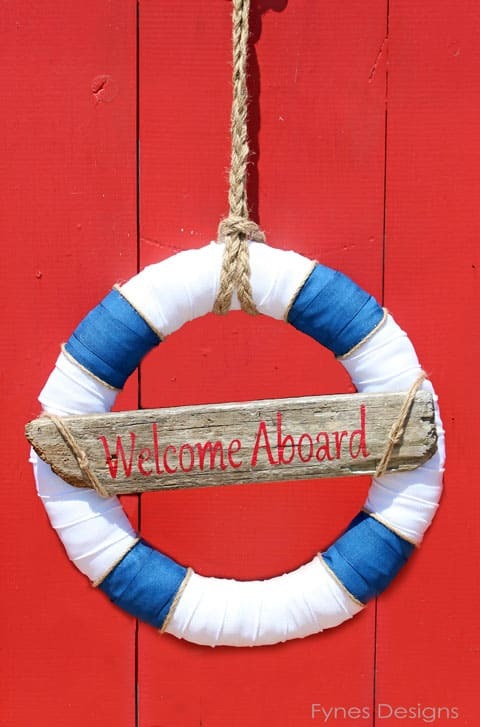 I used my new Silhouette to stencil the ‘Welcome Aboard’ onto the driftwood. I used 100% May Arts Ribbon to create this nautical decor piece. White faux burlap 445-15-01, navy linen 368-15-03, and burlap cord SP10. I love how this combination works together, what do you think? 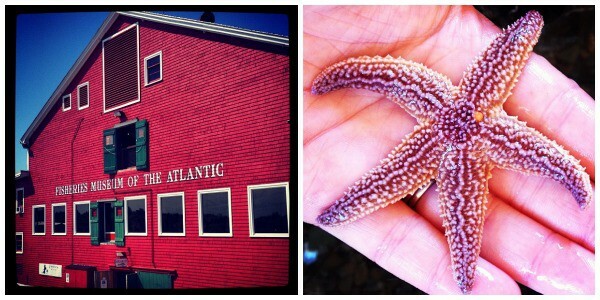 If you’re ever in Nova Scotia I encourage you to visit Lunenburg (and me of course). The sights are stunning, the air is crisp, and plus you get to tour boats and touch fish and swim in the ocean, FUN times ahead! So clever! You never cease to amaze! I love this wreath! looks fantastic! what a great wreath! perfect for summer! 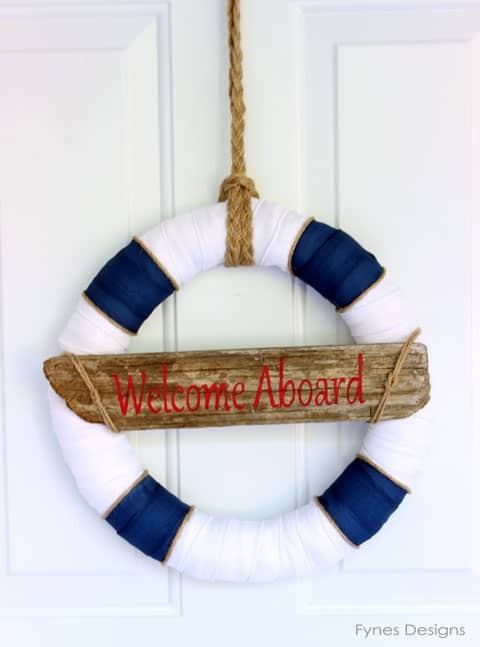 Super cute nautical wreath! I’m pinning it! Your wreath turned out wonderful. So perfect for summer. This turned out great! Such a creative idea. Love the white navy and gold together! Perfectly nautical! Pinning to my wreath board and sharing on G+. Thanks so much for sharing at All Things Pretty! Welcome. Hope you come back soon! I love nautical accessories! 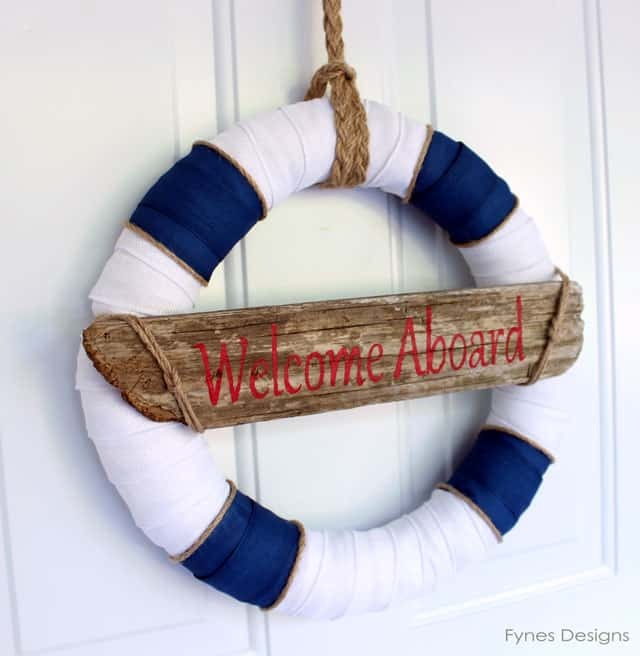 This would be great in a nautical themed nursery as well! Great idea, or a baby shower also! 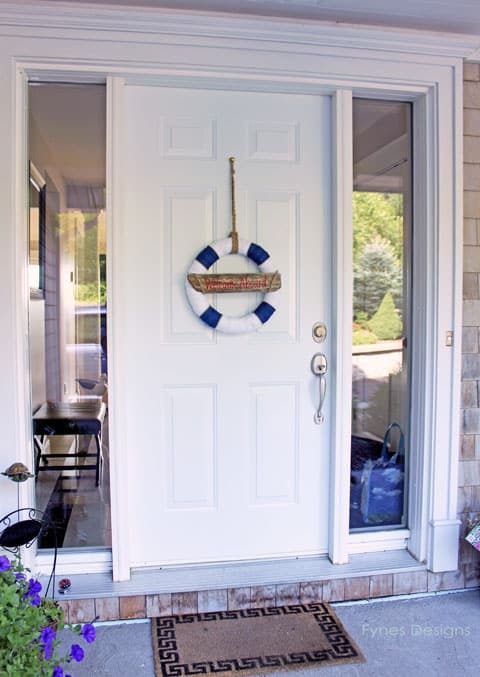 Anyway I could purchase the nautical wreath pictured above? I actually gave the wreath to my in-laws, but I could send you a kit to make one yourself? Virginia – this is awesomeness. I love it. I want one for my door!